The feat will commence at 3am outside The Shack on Soi Ta-iad, Chalong, with the finish expected to be around 10pm. So what’s the reward? Darren wants to raise B300,000 for Phuket Has Been Good To Us Foundation (PHBGTU), a Phuket-based charity set up in the wake of the 2004 tsunami. The foundation works to improve the economic opportunities and life chances of young people by funding and implementing high quality, practical English language education, for free, in government schools to around 1,200 children in Phuket. PHBGTU also runs an extracurricular program, Coconut Club, for 195 underprivileged children who are orphans or whose families are unable to look after them. Each day after school and on Saturdays the children visit the club to take part in sports, arts and crafts programs. The aim of the organisation is to help Thai youth become confident English speakers so that they can secure well-paid employment in Phuket’s tourism industry. The B300,000 that Darren hopes to raise will fund one class of 10 students for one year. When asked how much has been raised so far, Darren replied “I have no idea, I don’t touch any of the money”. 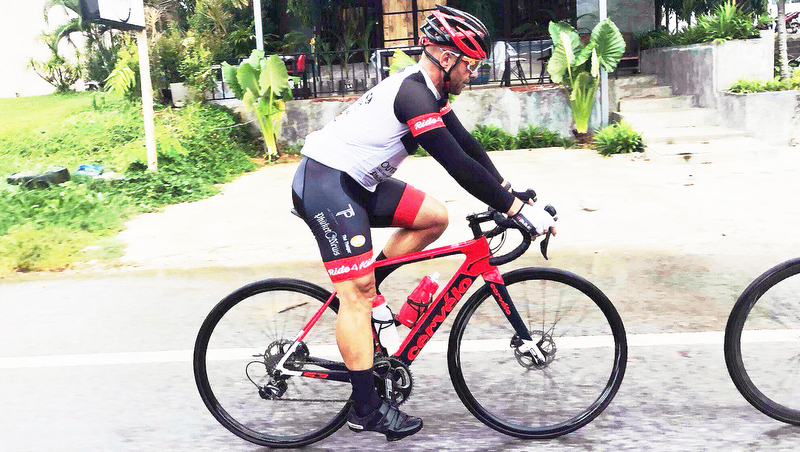 Darren, 46, a Canadian expat living in Phuket for the past five years, has dedicated the past 18 years of his life to being physically and mentally fit and healthy, whilst passing on the wisdom he has gained and motivation to others. “Being fit isn’t about looking good, it’s about being useful to be involved and engaged in your community,” Darren says. Darren’s story is inspiring. A self-harming, alcohol and cocaine addict who attempted suicide, he did not have much hope until somebody who had been down a similar path and survived took his hand and guided him towards recovery and a fresh mindset. Since then, Darren has spent much of his life coaching people mentally, emotionally and physically through sport to help them find the balance in their lives that he managed to find for his own. One thing that cocaine and exercise have in common is the fact that they trigger the release of the hormone dopamine, which although essential to the normal functioning of the central nervous system is also highly addictive. Therefore from where we derive our hit of dopamine is a crucial point and a major factor in addiction to alcohol, drugs, gambling and even sport. The neurotransmitter dopamine is associated with feelings of euphoria, bliss, motivation, and concentration, whilst a deficiency will have the opposite effect and can lead to medical conditions including depression and Parkinson’s disease. Other hormones released through exercise include endorphins which relieve pain and stress and boost pleasure; and serotonin which is believed to help regulate mood and social behaviour, appetite and digestion, sleep, memory, and sexual desire and function. Low serotonin levels have been linked to depression. ‘Healthy body, healthy mind’ as they say. Having not had an alcoholic drink or used any drugs in 18 years, Darren seeks his highs elsewhere. 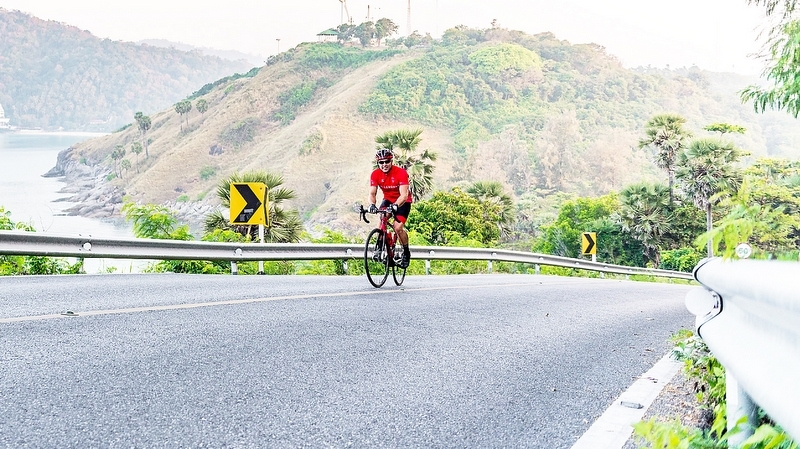 Having completed five Ironman triathlons and run a full lap of Phuket island non-stop in just under 20 hours – among many other self-inflicted challenges – he is undoubtedly getting his share of highs. His relationship with cycling is a deep, challenging and unbreakable partnership with what he deems a life saver. A metaphor for life on earth – “the brutal painstakingly slow grind in that big chainring. Meandering around the obstacles along the journey. It is never a clear-cut, perfect straight line overcoming the challenges of the road ahead,” he describes. Darren stresses that the biggest challenge he will face on Saturday will be the mental battle. When his body is pushed beyond its limits and sending signals to his brain to stop. To take the easy route out. That is when training and experience of overcoming huge hurdles prevail. “As a child growing up in Canada, it wasn’t my lifelong dream to be a cocaine addict and an alcoholic,” Darren explains. To make next Saturday’s challenge as realistic as possible, Darren will be hooking up his bike to an electronic trainer which will be connected to a computer system that will simulate the gradient of the climb. A specific climb will be selected and repeated until a distance of 8,848 metres is completed – the same distance as the summit of Mount Everest from sea level. Supporters can join Darren by donating B500 to cycle alongside him for 30 or 60 minutes along the same simulated route. There will also be DJs to help keep energy levels up. Darren is asking for as much support as possible, particularly in the final hours which will be the toughest both physically and mentally. 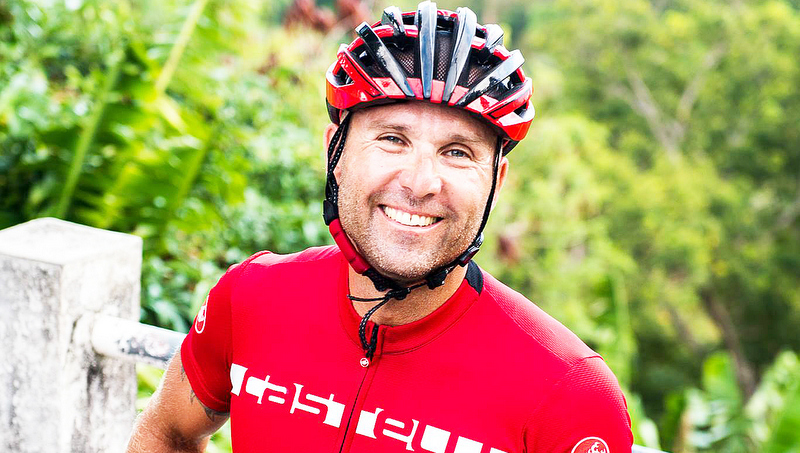 The triathlon academy at British International School will be supporting Darren by riding with him. Headstart International School have also been showing their support. To donate, deposit to the PHBGTU bank account or via PayPal, click here.